The populace of Sudan is separated into three main groups: The northerners, who inhabit the country mainly near the Nile, and consist of Arab and Nubian groups, are Muslims who speak Arabic, and follow Arab cultural patterns; the westerners, from western Africa are also Muslims, who live mostly in the central part of Sudan, and work as farmers or agricultural laborers; and the southerners, which includes Nilotic and Sudanic peoples. 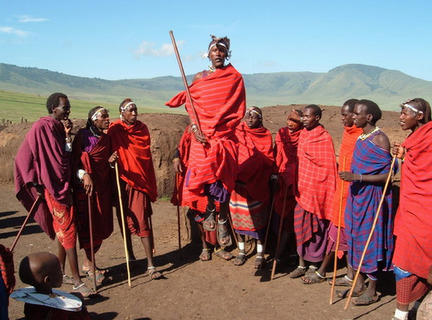 These people basically follow traditional religious beliefs, and are pastoralists. Nearly all speak Nilotic languages. The leading ethnic groups in the south are the Bari, Shilluk, Dinka, Nuer, and the non-Nilotic Azande. The 1993 census recorded the population as 25 million. Since then no complete census has been made due to prolonged civil war, but a 2006 United Nations approximation set the populace at around 37 million. Sudan, officially Republic of Sudan, is the biggest country in Africa; its capital is Khartoum and Omdurman its largest city. The country borders on Egypt in the north, on Eritrea and Ethiopia in the east, on the Red Sea in the northeast of Kenya, Uganda, on the Central African Republic, Chad in the west, Libya in the northwest, and Congo in the south. 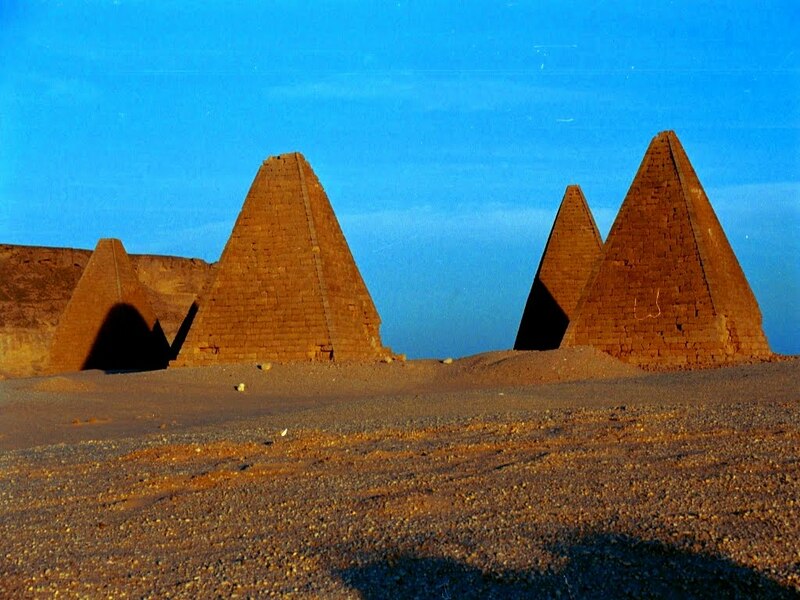 Sudan or 'land of the blacks' is particularly ideal for those interested in meeting delightfully hospitable people or who are fascinated wiht experiencing a culture different from most Western societies. The country has been experiencing vicious civil wars for almost half a century, yet beyond these conflict areas, Sudan by and large is secure to travel in, and travelers are generally treated with great civility and kindness. 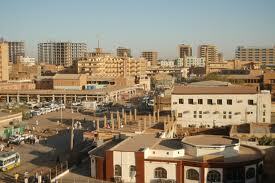 The Sudanese are very hospitable people, and you will be amazed at how they open-up even to first time visitors. 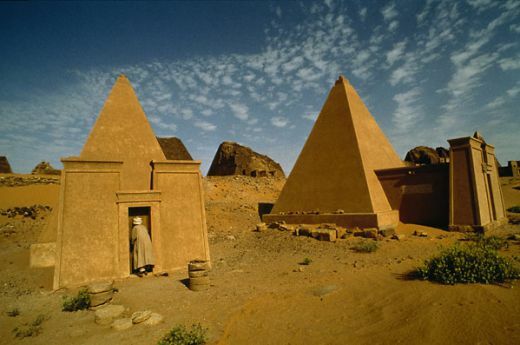 Sudan is mainly rural.The landscape is generally flat plains, with intermittent mountain ranges. Found in the west is the Jebel Marra, the highest range; in the south is the highest mountain Mount Kinyeti Imatong next to the border with Uganda; and in the east lies the Red Sea Hills. Though Sudan is situated within the tropics, the climate varies from arid in the north to tropical wet-and-dry in the far southwest. Temperatures do not fluctuate greatly with the season at any place. The major climatic elements are precipitation and the extent of the dry season. Differences in the span of the dry season vary on which of two air flows predominates, arid northeasterly winds from the Arabian Peninsula or humid southwesterly winds from the Congo River basin. Situated in the southeast of Khartoum on the Ethiopian boundary, the Dinder National Park is one of the biggest in the world. You'd be awed by the many unique species of wild animals, such as leopard, kudu, antelope, giraffe, bushbuck lion, and birds like the vulture, pelican, guinea fowl, kingfisher, stork, and the gorgeous crown crane. The Red Sea is one of Sudan's major tourist attractions. The sea is endowed with a variety of fish, lucid waters and alluring marine gardens and coral reefs. The three centers from which to explore the coast is Port Sudan; Suakin, well known during the Ottoman era; and the Arous tourist village, found in the north of Port Sudan. You must visit Erkowit, a stunning resort in the coastal mountains, renowned for its verdant vegetation. Jebel Marra is the highest peak in the Darfur area of western Sudan. It is a place of exceptional scenic beauty, with volcanic lakes, cascading waterfalls, and a pleasant climate. Since independence from the UK in 1956, Sudanese national politics have been dominated heavily by the Islamic-leaning military regimes. The country was involved in two protracted civil wars during most of the 20th century. These conflicts were ingrained in northern political, economic, and social dominion of mostly non-Muslim, non-Arab southern Sudanese. Peace discussions gained some momentum in 2002 to 2004 with the signing of numerous agreements; Through the Naivasha peace treaty of January 2005, the southern rebels were granted independence for six years. A separate clash broke out in the western district of Darfur in 2003, which resulted to thousands of deaths and almost 2 million homeless; since 2005, peacekeeping troops were striving to stabilize the country. Many look upon Sudan as a terra media. 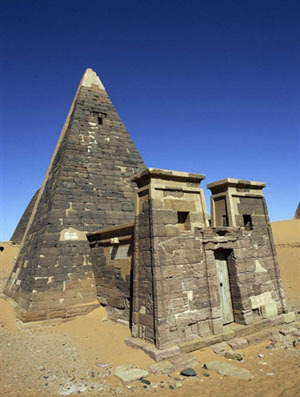 Resting between and connecting Africa and the Arab world; others see Sudan as positioned on the fault line amid two peoples, devastated and incapable of uniting. Years following independence, Sudan's national identity and political landscape still remain viciously challenged. In general, nightlife doesn't really exist in Sudan. Sharia Law is in effect, which mandates that there should be no alcohol, no bars and certainly no nightclubs. In some of the displaced areas you might stumble on some Southern style parties with Congolese music and illegal liquor but this is uncommon and extremely dangerous. You might find entertainment in the cities, such as cinemas, which typically shows Bollywood or Jackie Chan movies, clubs (exclusively for expensive tea-drinking clubs), and concerts usually held at cultural centers and big hotels. If you're short for cash, then you'll be limited to sipping coffee at one of the modest stalls in the area. Occasionally, you'll come across a chicha den, where chicha (nargileh or hubble bubble pipe) is smoked. A variation of Arabic called "Juba Arabic" is the lingua franca in Southern Sudan. The educated elite generally use the English language. Tribes like the Fallata, also known as Hausa and Fulani have migrated to Sudan at different times, settling mainly in the north, with the majority communicating in Arabic, in addition to their local languages. Approximately 70% of the inhabitants adhere to Islam. 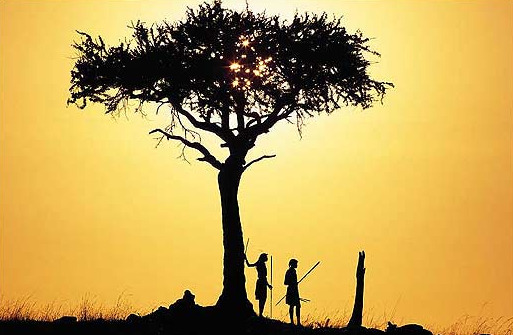 The rest of the populace follows either animist and indigenous beliefs (25%) or Christianity (5%). Sudan's biggest Christian denominations are the following: the Roman Catholic Church, the Presbyterian Church in the Sudan the Episcopal Church of the Sudan, and the Coptic Orthodox Church. Southern Sudan has one of the fastest growing Christian populations in the whole world. Islam dominates in the North, while traditional indigenous beliefs and Christianity are common in the South. Moukhbaza, which is made of banana paste, is the most popular dish in the eastern side of Sudan. In the west, every tribal group had included diverse types of food that are essentially very simple. Milk and dairy products are primary elements to most people because most of them are cattle breeders. A distinctive cereal by which the west is well-known is Dukhun. It is primarily used in making a chunky porridge called Aseeda Dukhun, added to this is a stew called Sharmout Abiyad, which is prepared with dry meat. Another form of stew is Kawal, a mixture of some plants' roots that are left to leaven and dry subsequently. In the south, the people are dependent on fish for their food due to the abundance of lakes, swamps and rivers in the place. A stew called Kajaik, a cooked dried fish is a well-known dish. It is added to the porridge, which is universal throughout Sudan. Finally, Aseeda is made of sorghum, a mixture where margarine is added at times.